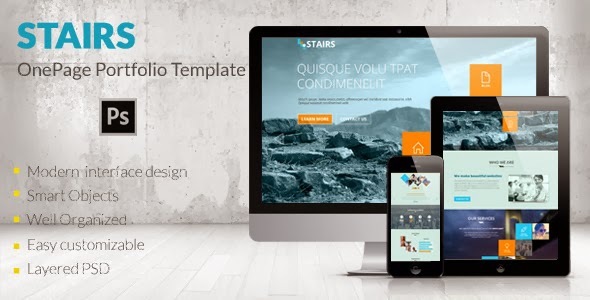 Stairs is creative and simple One Page design Portfolio Template. Fully layered and very easy to customize. Item Reviewed: New PSD OnePage Portfolio Template 9 out of 10 based on 10 ratings. 9 user reviews.